New York’s Astor Place is a short but busy crossroad in the heart of lower Manhattan connecting Broadway, Lafayette and Cooper Square before merging into East 8th Street and St. Marks Place. 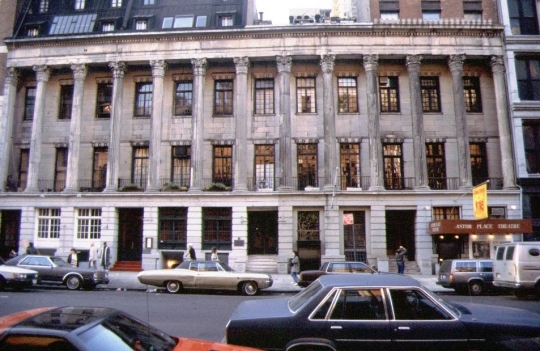 Astor Place was named after John Jacob Astor, a successful furrier, real estate mogul and patron of arts and culture. The Astor limited edition women’s watch collection by GV2 is a tribute to Astor and his influential life as a prominent New Yorker. 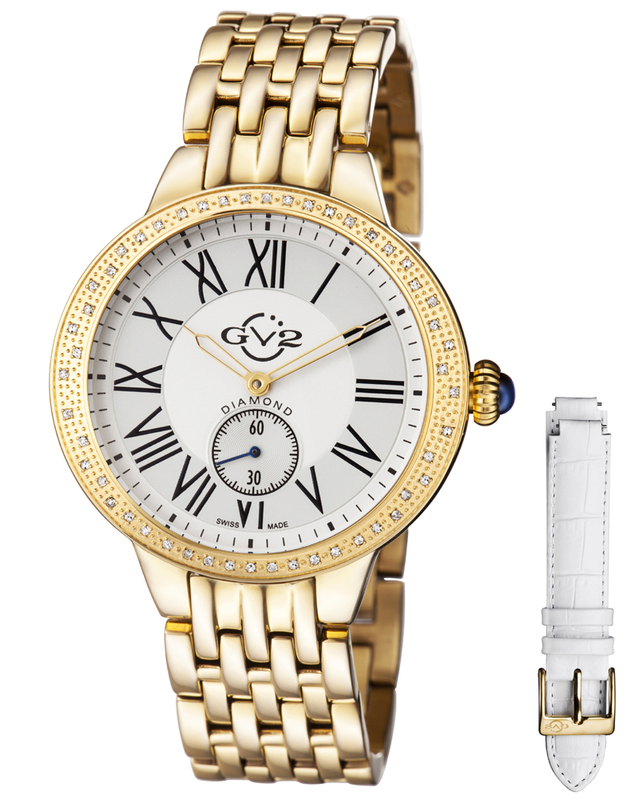 GV2 Astor watches represent refined urban versatility for the modern woman. They are watches designed with classic elements and overtones, fine enough to wear in formal environments, but equally appropriate for casual settings thanks to their chic and durable cases. Each stainless steel Astor case is a contemporary 40 mm in diameter. The GV2 9101 Astor’s case, interlinked bracelet and push-button deployment clasp are coated in IP yellow gold. The bracelet’s relative narrowness of 18 mm amplifies the case size. The round bezel immediately stands out with its array of 50 genuine diamonds. Because the bezel is wider at the sides and narrower at the top and bottom, the illusion of an oval shape is created. The diamonds are placed accordingly: lined up in a single row at the top and bottom, and offset in two rows where the bezel widens. The crown is in the shape of an onion bulb, both tasteful and workable, with a decorative blue sapphire cabochon. The blue is picked up again in the small seconds sub-dial at 6 o’clock, which has a centrally mounted blue hand atop engraved concentric rings. Large Roman numerals and cathedral hands on a silver dial round out the traditional facade. If a strap is preferred over a bracelet, the Astor also comes with an interchangeable white leather strap that takes the watch in a dressier direction. Astor watches have anti-reflective sapphire crystals, reliable Swiss made quartz movements and water-resistance ratings of 99 feet. Astor watches offer a tasteful balance of sparkle and discretion. Whether it’s for a sophisticated night out at one of the theaters around Astor Place, or for a quick dinner in the East Village, an Astor watch is a splendid accompaniment to any urban style and lifestyle. 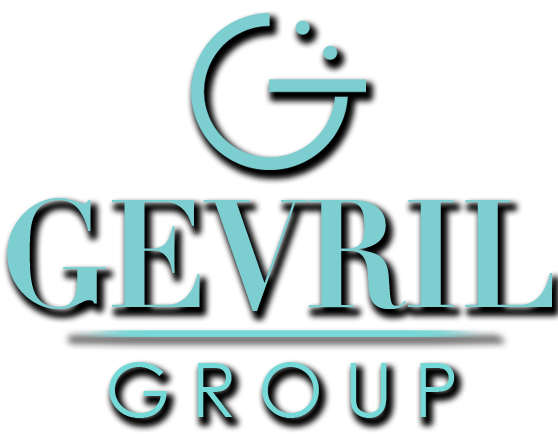 Check in with your authorized GV2 dealer to inquire about availability. Aviator style timepieces have been popular with adventurous men ever since pilots started wearing them. These big, bold watches are both practical and stylish with their large, readable displays and durable construction. Fortis, who makes some of the worlds most popular and well-respected aviation timepieces, wondered why more women weren’t wearing pilot’s watches and quickly discovered the answer. They were simply too large for most women’s wrists. 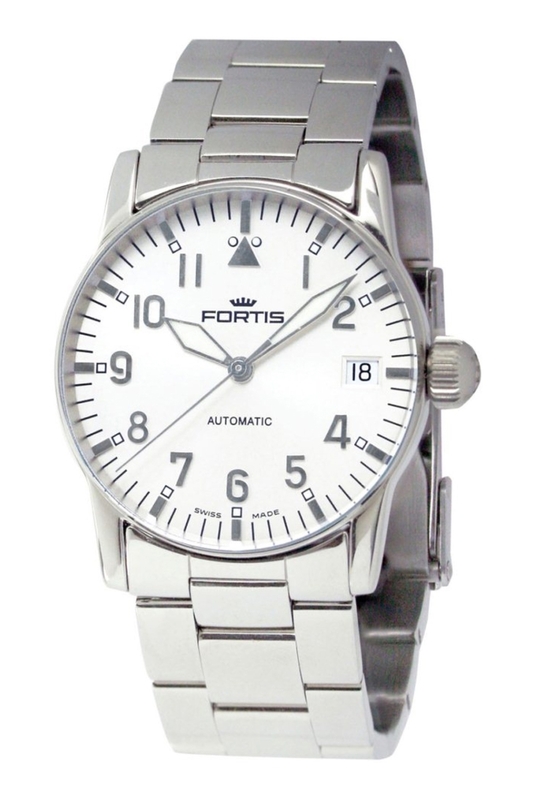 To rectify the situation, Fortis introduced the new Fortis 621.10.12 M Lady Flieger. This superlative aviator timepiece is everything you’ve always loved about Fortis pilot’s watches in a slightly smaller size that is perfectly proportioned for a woman’s wrist. The impressive Lady Flieger 621.10.12 M features the same, easy-to-read dial with simple bar indices and clear legible numbers that made larger Fortis aviator watches so popular with pilots and astronauts. This beautifully crafted 35 mm timepiece features a three-hand configuration with Superluminova sword hands and a convenient date window at three o’clock. The substantial stainless steel case is water resistant to an impressive 660 feet has been fitted with an integral solid stainless steel bracelet secured with a convenient fold-over clasp. Dove grey numbers provide the perfect contrast for a lustrous silver dial that is protected by an anti-reflective, scratch resistant sapphire crystal. This superlative lady aviator is powered by an automatic, twenty-one jewel, Swiss made 2892 A2 mechanical movement, augmented with a fine timing device. This highly accurate and reliable movement is found in some of the world’s most prestigious watches and brands. If you’ve always liked the idea of wearing a pilot’s watch, but found they were just too big for your wrist, the wait is over. The exciting, and beautifully crafted Fortis Lady Flieger 621.10.12 M is everything you’ve been looking for and it’s already cleared for takeoff on your wrist. To acquire one of these beauties, contact an authorized Fortis dealer immediately and ask to see the Lady Flieger 621.10.12 M.
Louis Erard knows that if you give a woman the moon, she’ll still want diamonds. Can interesting watch complications go hand-in-hand with affordable prices? They certainly can if you’re wearing a Louis Erard watch. Ever since founders Louis Erard and André Perret introduced the world to their first creation in 1931, the company has maintained its commitment to making innovative, high quality Swiss made mechanical watches. The results have been spectacular. 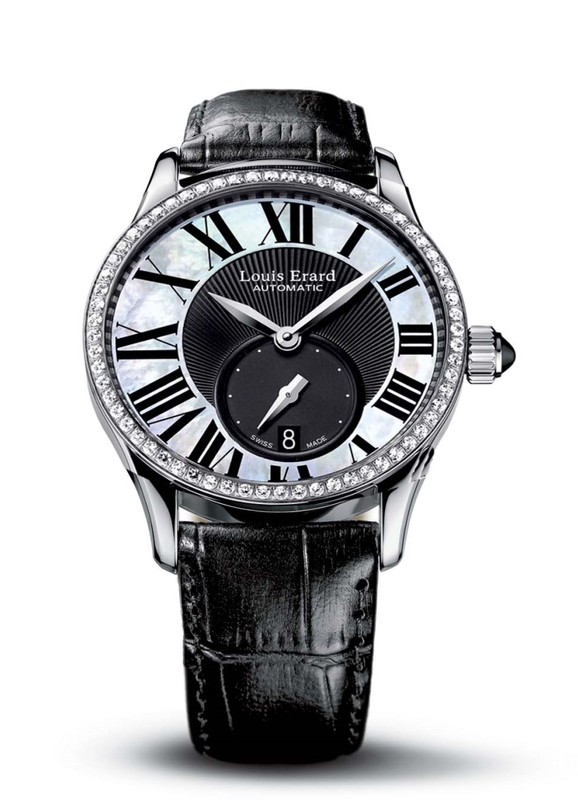 Today, Louis Erard watches are prized by watch aficionados and other watchmakers around the world. It’s easy to see why. 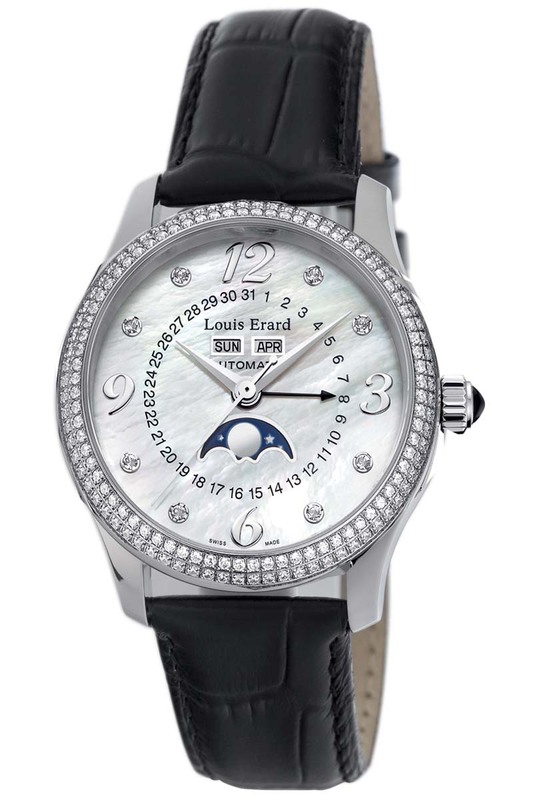 A no-compromise timepiece like the spectacular Louis Erard 44204SE10.BDC02 Women’s 1931 watch featured here easily holds its own with watches costing thousands of dollars more. This 40 mm marvel features a bezel with two rows of genuine diamonds encircling a lustrous mother of pearl dial with eight more diamonds as indices. This remarkable watch displays the day of the week, the month of the year, and the date, along with a beautiful moonphase complication that indicates the correct phase of the moon. Powering this classically styled creation is a precision Swiss-made ETA 2824 movement coupled with a Dubois Dépraz 9000 module that advances the calendar mechanism. Renowned brands like Breitling, Omega, Jaeger-LeCoultre, Rolex, Patek-Philippe, Audemars Piguet, Richard Mille, and others use this same high-end combination. This amazing perpetual date, diamond watch comes with an anti-reflective, scratch resistant sapphire crystal and is water resistant to 165 feet. The watch has been fitted with a top quality black textured calfskin band with a convenient deployment buckle. There is also an exhibition back that provides a tantalizing view of the intricate mechanical movement within. Completing the design is a knurled stainless steel setting crown, capped with a highly polished genuine cabochon. With its sophisticated, classic styling, the Louis Erard 44204SE10.BDC02 Women’s 1931 watch looks great with just about anything. 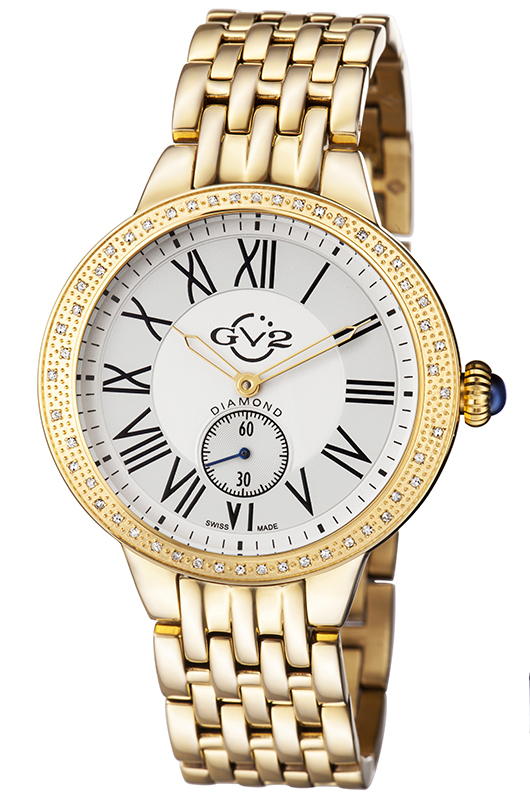 The watch is equally appropriate with dress or casual wear and looks absolutely heavenly on your wrist. To acquire your own Louis Erard 44204SE10.BDC02 Women’s 1931 watch, contact your authorized Louis Erard dealer immediately and reserve on of these beauties before they’re gone. With 66 sparkling diamonds, a playfully asymmetric dial and a fine mechanical movement, your first emotion is going to be love. Louis Erard’s technically innovative all-mechanical watches are renowned for their exceptional craftsmanship and quality. Now, this 80-year old Swiss watchmaker is gaining new accolades from an all-new audience: women. 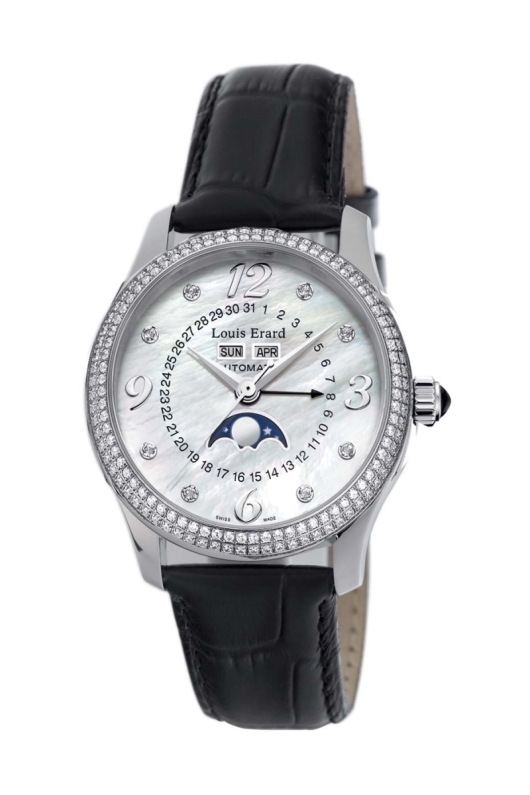 The exciting new Louis Erard Emotion timepieces are the brand’s first collection designed expressly for women. Each of these artful creations builds on the Louis Erard tradition of quality, craftsmanship and affordable pricing by adding a brand new component: emotion. The first emotion many women feel when they see a watch like the amazing new Louis Erard Emotion 92310SE02.BAV04 is love at first sight. This inspired design features a delightful asymmetric dial surrounded by 66 Top Wesselton, VS-SI diamonds on the bezel. The strikingly beautiful creation features a black sunray center, a mother-of-pearl chapter ring, a continuous small seconds display at 6 o’clock and a precious cabochon tipped setting crown. There is also a convenient date window at 6 o’clock. Like everything that comes out of Louis Erard’s Swiss workshops, the beautifully feminine Emotion 92310SE02.BAV04 watch is powered by a precision Swiss made mechanical movement. The ETA 2897 automatic movement ensures that this remarkable timepiece is as reliable as it is good looking. An anti-reflective scratch-resistant sapphire crystal protects the fashionable dial and the watch is water resistant to 165 feet. Enhancing the emotional appeal of this fine timepiece is an exquisite padded black genuine leather strap embossed with an alligator pattern. Now that watches have become one of the fashion industry’s hottest new trends, it’s nice to know that you can still be fashion forward while wearing a timepiece with a traditional Swiss-made mechanical movement. To experience the joy of seeing one of these exquisite beauties on your own wrist, contact your authorized Louis Erard watch dealer immediately and ask to see the gorgeous new Louis Erard 92310SE02.BAV04 Women’s Emotion Watch.